Our neat young neighbours, Annika and Andi, turned up the other week with Thekla, the sweetest of babies. 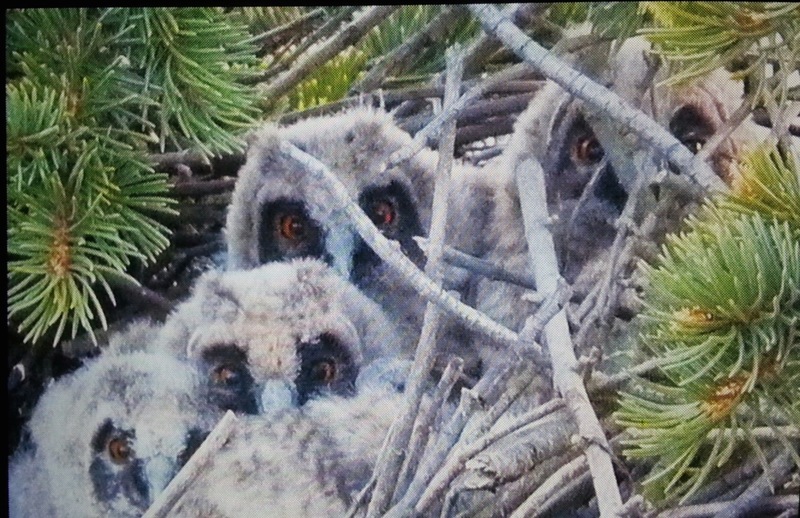 Not wishing to be outdone, the Asio otus pair nesting in their fir tree produced quadruplets at about the same time. Fertility appears to be rampant.in notre cou de bois…. 13 May	This entry was published on 13 May, 2015 at 08:00 and is filed under Mainz, Nature, People. Bookmark the permalink. Follow any comments here with the RSS feed for this post. What a beautiful set of little owls. I watched a documentary on owls in general not too long ago- across the spectrum of types, they are a perfectly evolved creature.